Boston — The Baker-Polito Administration today announced $42 million in grant awards for multiple initiatives that support the quality and availability of early education and care programs serving young children across the Commonwealth. "In awarding these grants, we are proud to support important initiatives that advance the quality of the early education and care system in the Commonwealth," said Governor Charlie Baker. "High-quality early education and care programs provide children with a strong foundation for learning, academic success, and positive outcomes overall." The funding supports eight (8) early education grant programs: Coordinated Family and Community Engagement Networks, Head Start Supplemental Funding, Inclusive Preschool Learning Environments, Universal PreKindergarten Classroom Quality, Educator and Provider Supports, Early Childhood Mental Health, Screening and Assessment, and Program Quality Rating Tools. "These grants provide essential resources and services that help support the teachers and programs that educate young children in Massachusetts," said Early Education and Care Commissioner Tom Weber. "High quality early education and care helps promote children's healthy development and school readiness, and this has enormous value for families, communities and the Commonwealth as a whole." Coordinated Family and Community Engagement Networks ($13.4M): A total of 89 grants were awarded to local Coordinated Family and Community Engagement (CFCE) networks to provide beneficial early learning opportunities for young children accompanied by their parents or family in informal community-based settings, and programming for parents and families that increases their capacity to support their children's learning and development. In 2015, the CFCE networks served more than 100,000 families across the Commonwealth. Head Start State Supplement ($9.1M): A total of 30 grants were awarded to Head Start lead agencies to provide additional funding for enrollment of children in local Head Start and Early Head Start programs, staff salaries, and educator professional development. 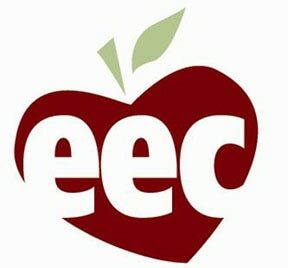 Inclusive Preschool Learning Environments ($8.4M): A total of 79 grants were awarded to EEC-licensed early education programs and public schools to support the development and early learning of children with and without disabilities in high-quality, inclusive preschool classroom settings. The grants will support an estimated 5,000 children in approximately 250 classrooms during the 2016-2017 school year. Universal PreKindergarten Classroom Quality ($6M): A total of 114 grants were awarded to support Pre-Kindergarten classroom enhancements such as new curriculum and materials, hiring additional staff to reduce class size, and increased compensation for educators. Grant awards ranged from $10,000 to $20,000 per classroom, and cover over 400 classrooms that serve nearly 7,000 children combined. Educator and Provider Supports ($3.3M): A total of five (5) grants were awarded to provide regionally-based professional development opportunities for early educators, technical assistance to aide in attainment of degrees and/or qualifications, program accreditation, and upward movement on the state's Quality Rating and Improvement System (QRIS). Early Childhood Mental Health ($1.25M): A total of six (6) grants were awarded to provide regional consultation service networks that support the healthy social and emotional development of young children in early education and care programs. The grantees will reach an estimated 1,000 licensed early education and care programs for young children, and coordinate services including classroom observations of children; assessments of children’s physical environments; and training to help educators identify behavior risks and prevent or reduce social-emotional issues. Screening and Assessment ($400,000): This grant will provide professional development to early educators across the state on implementing child screening and formative assessment and using assessment results to inform and improve teaching practices. Program Quality Measurement Tools ($250,000): One grant was awarded to support early educators and programs across the state in using research-based tools to measure classroom quality in early education and care settings and to help improve the quality of early education programs.